The Web trends tend to change with a lightning speed, and there are 2 latest trends which we are going to combine in this blog post. The first one is a material design trend and the second one is a multipurpose theme usage trend. Thanks to Google and their launch of the material design as a concept, it became one of the leading trends in the last years. Not surprisingly, as it definitely has its benefits – it improves user engagement, makes a better UI/UX, it’s cost effective etc. Nevertheless, at the very launch of it, hundreds of people disagreed with the new trend as it eliminated any trace of skeuomorphism and any resemblance of the design to the live objects. Artificially plain colors were unusual to a viewer’s eye. Meanwhile, hundreds of designers’ faces turned towards the new material design trend, feeling a huge potential in it. That was the dawn of material design as a concept when hundreds of material design websites appeared. Right now there are dozens of beautiful material design templates and free material design resources available for any project related to material design. At the same time there are separate templates for blogs, online shops, agency websites and so on. However, there is a different option – using a multipurpose theme. And here comes the second trend! What are the benefits of using multipurpose themes? Firstly, it lets you choose the design which you like. Secondly, even if you decide to alter the design when your website is already made, normally you’d have to change horses in midstream and change the template itself, but not if you have a multipurpose template. You may simply switch the design and enjoy the result. On top of all that, multipurpose templates fit almost all project types – eCommerce, blogs, agencies etc. 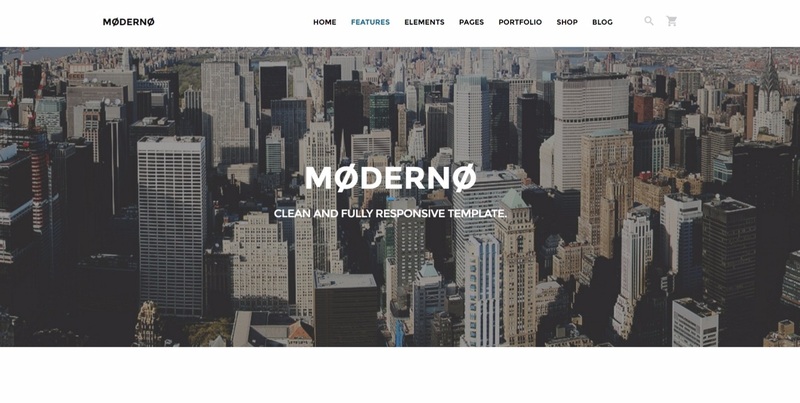 In this blog post we’ve gathered 10 greatest multipurpose material design templates from different CMS (the best ones among WordPress, PrestaShop and the best of HTML). Please note that we don’t name the templates of a specific type (like WordPress themes or Joomla templates only), but we name the best multipurpose templates of many CMS which you may use for your project. 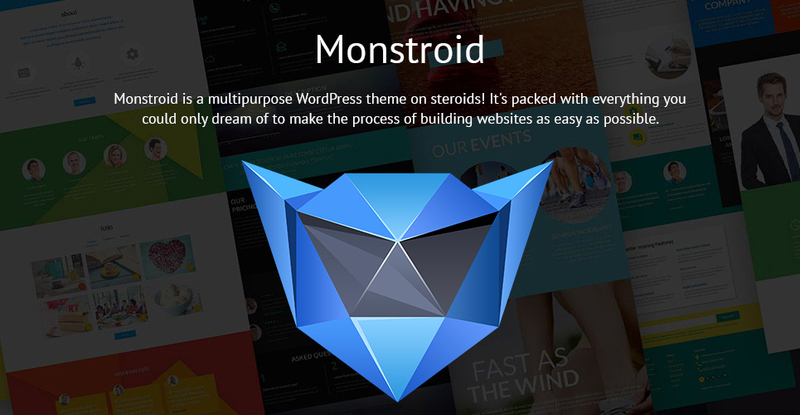 Monstroid is more than just a WordPress theme, it rather reminds us of a WordPress theme club. Being a multipurpose template, it lets you change the design, move the design items, customize it up to your needs, while you have 40+ of child themes just inside of it. This is obviously very handy to most of the customers, as Monstroid can transform into a blog, an agency or a portfolio website, and, on top of that, it can also become an eCommerce store. That is pretty impressive. Intense if great multipurpose HTML template which also has its home skins and child themes. How do you benefit from it? You can choose either a totally different design of the whole website, or pick a home page design, leaving the rest as it is. There’s been a full review of Intense published recently, by the way. Wegy is King among Joomla templates. It involves advanced theme options, sliced PSD, alternative module layouts, it has a neat modern design which makes it perfect for many types of projects. Pay attention to the drop-down menu which has a banner, that usually raises a website conversion a lot. 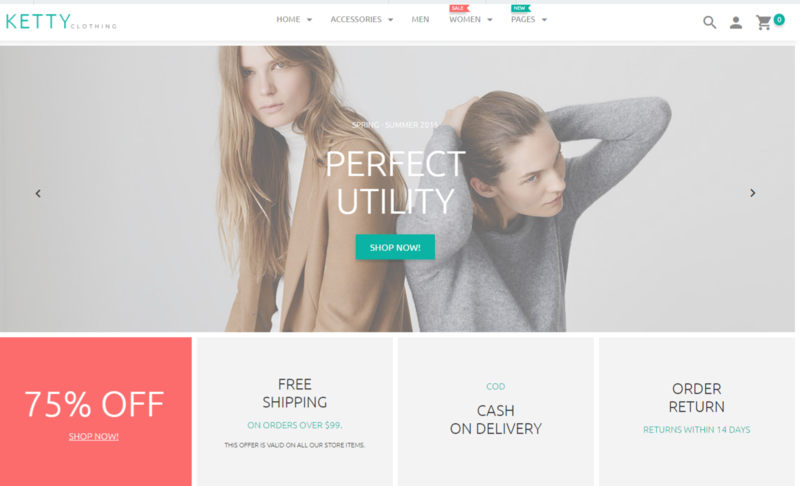 Styler is one of the most downloadable Prestashop themes. When creating a website, you may choose a home, product and product listing pages which you like. It’s a decent option for an eCommerce website, build on Prestashop. And, just like all usual themes, it has all the common features like social media buttons, hover effects, Parallax effect and a blog. Get your customers hooked at first sight! Good material design HTML templates are not hard to find, however, good multipurpose material design HTML templates are. Take a look at this template which is crafted for a transportation agency or any other project which could benefit from clean design, Parallax effect, Google maps, Google fonts in it and so on. Visual presentation of the data and bright colors will attract the visitors and gain customers for the business. Undoubtedly, material design makes some things easier. For instance, the widgets or the categories sections look much cleaner when performed in material design. Modicate is an example of how a corporate material design HTML template may look. See for yourself, check out the design options, choose the ones you like and keep in mind that this is how your project could look like. Do you like the overall impression? Then maybe it’s the one! Any engineering-related project like construction, for instance, need to look trustworthy in colors, in design, even in an intuitive layout (no one who’d experience any problems with navigation on the website would entrust something to this company in reality). Take a look at the widgets, they are simply irresistible to click on. Testimonials are one of those sure ways to boost conversion of the website. This material design HTML template has them. Moreover, its features like contact form, material design social media buttons, back-to-top buttons and seamless image slider make the design attractive, welcoming and cozy, which are is perfect description of a bakery website. It’s a multipurpose material design HTML template for corporate projects which may become a decent presentation of an online business presence. Thanks to its responsiveness, it’ll look well on any screen. Clean code, a grid layout, Parallax effect, special widgets with hover effects will win the website a competitive place in the professional niche. An impressive design is vital for any online store as it is one of those factors which influence the conversion. This is the template which could become a great basis for a Magento online store. The material design elements implied in it improve the user experience. Subconsciously, the customers will compare your online store to the other which they have visited, and a design like this will make your website be one of the top websites they have been to. If you liked the roundup please don’t forget to spread a word about it. And if you didn’t find the design you were looking for remember that these are multipurpose themes with tons of designs and skins built in them. Just follow any Demo link and you’ll see how many pages on different topics does each of this themes have! Don’t forget to share and good luck with your future projects! Very creative design.Thank you, Nick. Such a great resource for ideal web templates I’ve been looking for. I think I may be trying Monstroid for sure for my upcoming designing platform. Thanks to the author.